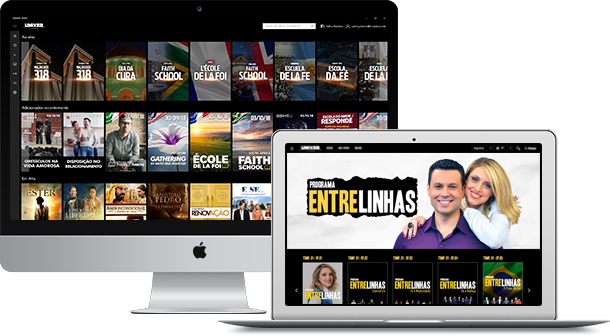 Univer Video presents a variety of movies, series, programs, inspiring talks, selected with exclusivity for you and your family to enjoy the best in Christian content. You also have access to live meetings straight from the Temple of Solomon and other countries. The good news is that you can access it anywhere from various devices. And it doesn't consume much of your internet data. You can watch new exclusive videos everyday. Always check the "recently added" button to see the daily updates and enjoy them as many times as you want. 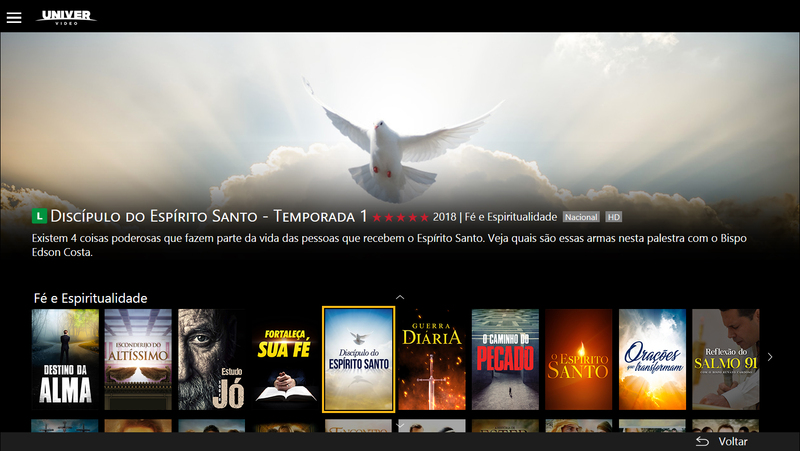 For those who live in São Paulo or another state of Brazil, or even in another country and you can't go often to the Temple of Solomon, do not worry, with Univer Video you will feel as if you were there. 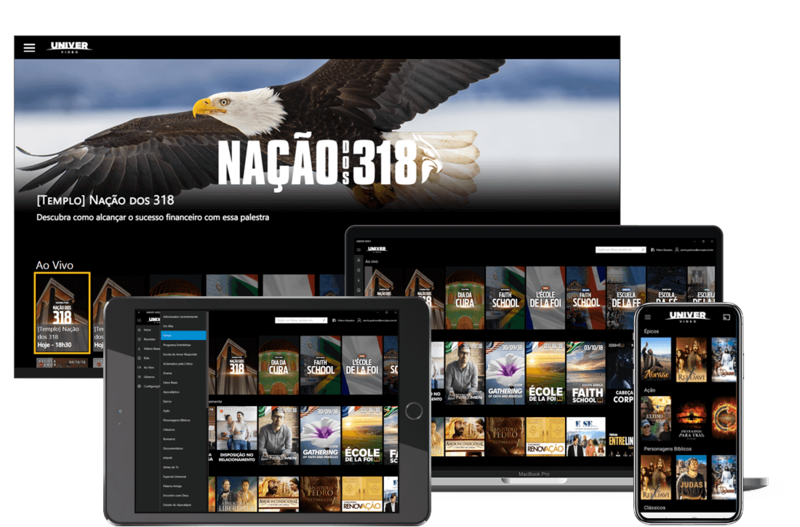 Every day the main meetings at the Temple of Solomon and other countries, such as Argentina, Portugal, England, South Africa, Mexico, The United States, France, Italy and Russia are brodcast live in the original language. If you are looking for inspiring movies, with edifying messages that will teach you about life, you're in the right place for it. Here, you can also make a ton with friends that will strengthen your faith, your marriage and your family. 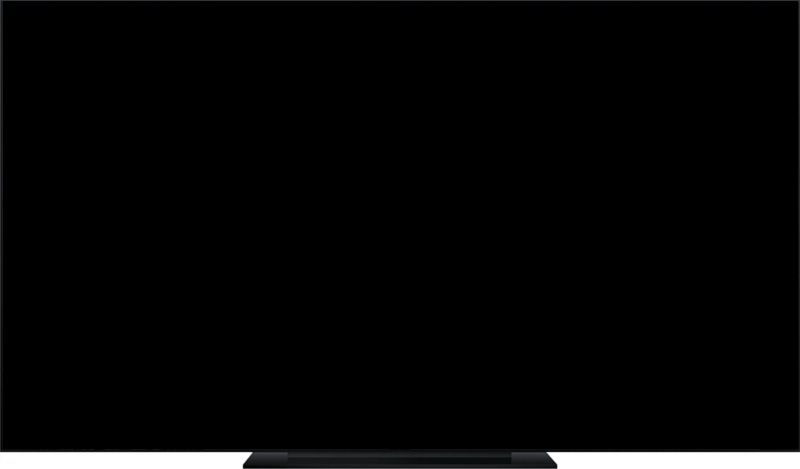 It's easy to watch Univer video. In case you still haven't downloaded tha app, aon your smartphone or tablet, you can download it free by the Apple Store, Google Play or Windows Phone Store. Thinking about your convenience, Univer Video is optimized for all of today's most popular browsers. The new generation of media players and streaming sticks offers accessibility and convenience to watch Univer Video on your TV. 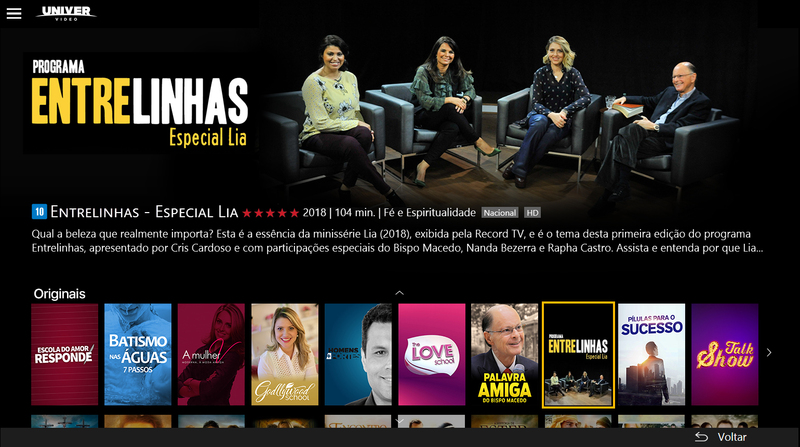 How about watching Univer Video on your Smart TV? The application is now available. 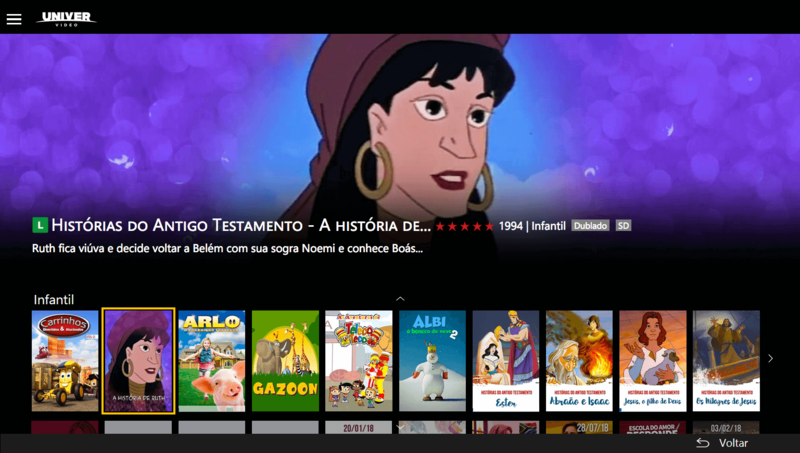 Gather your family around the best Christian programming. 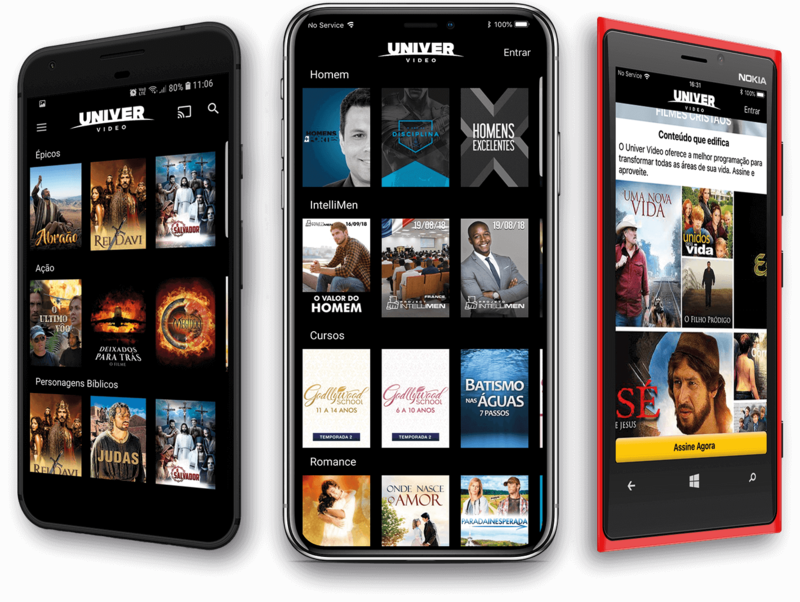 You can watch movies or series through the UNIVER VIDEO service in the country where you signed up, as well as in the countries where the UNIVER VIDEO service is offered and where UNIVER VIDEO has licenses for such films, documentaries, cartoons, musical clips or series. Content availability varies by country. 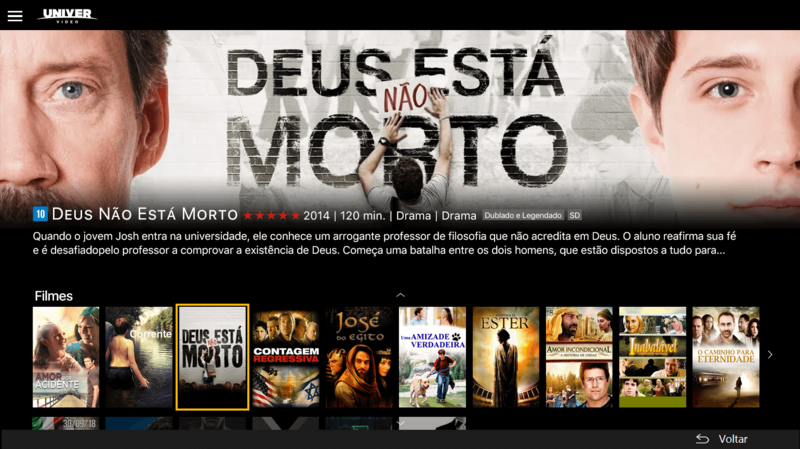 UNIVER VIDEO has rights to distribute its content throughout the Brazilian territory. There may be content availability limitations, especially on third-party productions, when attempting to access your account from another country. The same goes for signatures held outside Brazil. 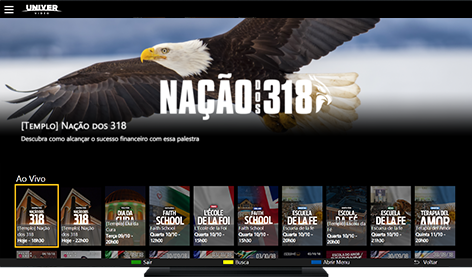 UNIVER VIDEO uses technologies to verify its geographical location and limit content according to the viewing licenses.